Driving without proper alignment costs you money. Not only does flawed alignment decrease gas mileage and tire life, but it also adds stress to your vehicle's steering equipment and structure. Ideally, your vehicle's wheels should run perpendicular to the ground and parallel to each other. Adjusting these wheel angles will bring your vehicle back into proper alignment. Don't put yourself in danger! Driving without proper alignment puts you at risk. 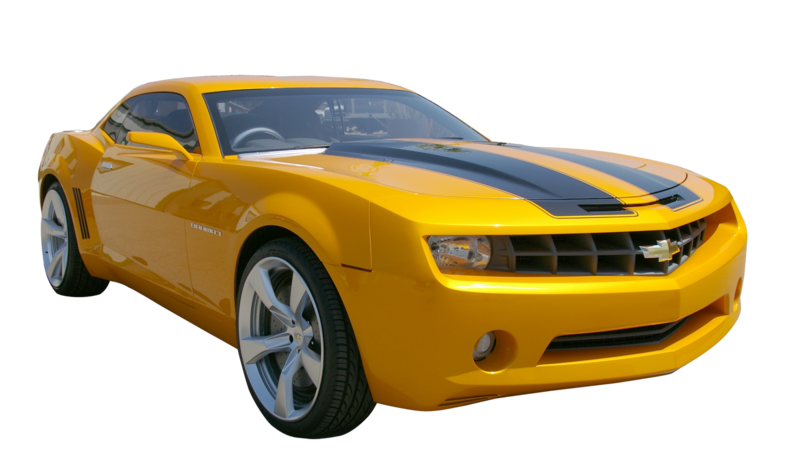 An out-of-alignment car pulls and drifts away from a straight road and may cause an accident. Excessive tire wear—another result of bad car alignment—leads to tire blow-outs and poor traction, which also causes accidents. 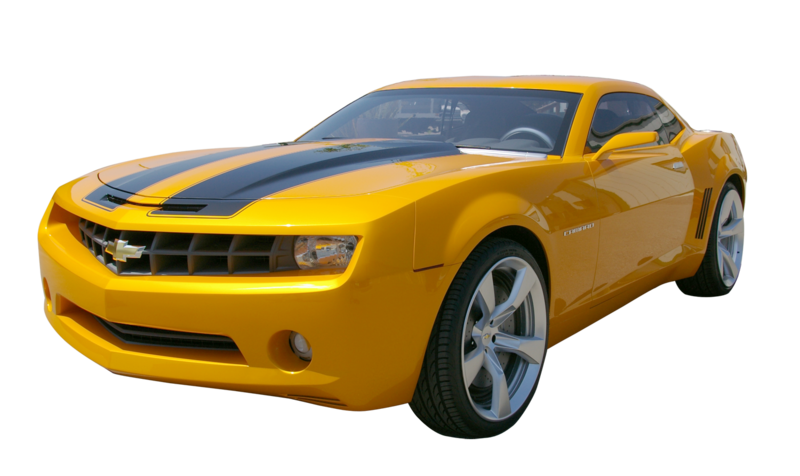 Bring in your vehicle and our alignment experts will make sure your vehicle drives smoothly and safely. 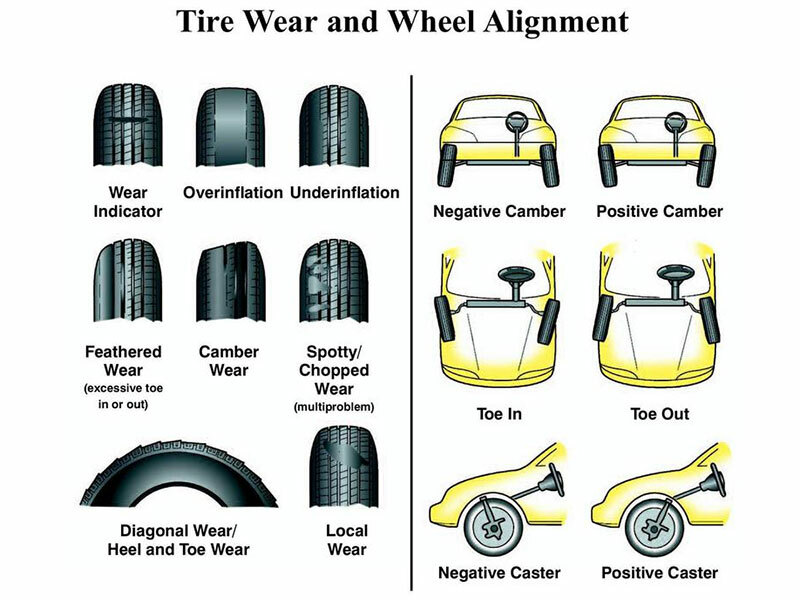 Many factors impact your vehicle's alignment. You typically need alignment service after a major or minor collision that results in physical damage to your vehicle's frame. Your vehicle needs immediate attention when you notice steering problems or uneven tire wear patterns on your tires. Sometimes problems arise from something as small as driving over a pothole, or grazing over a curb. How Does Poor Alignment Happen? 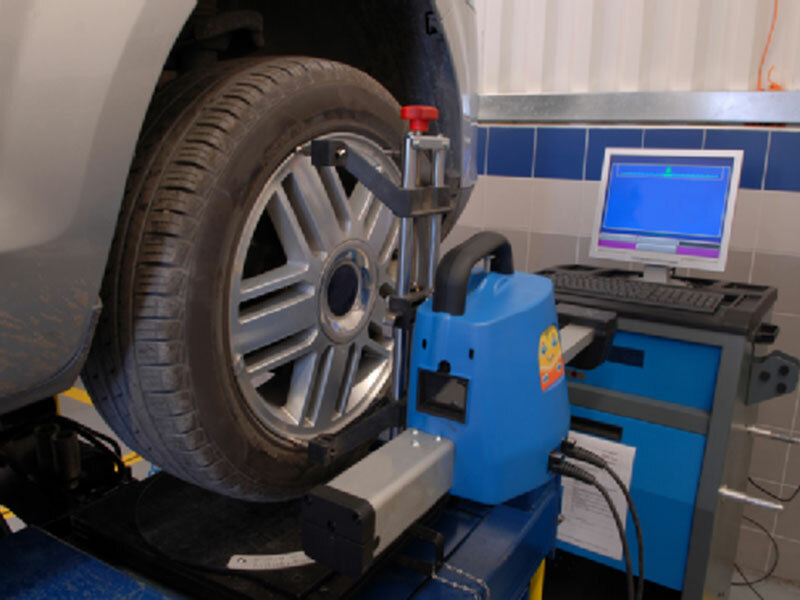 Many factors impact your vehicle's alignment. You typically need alignment service after a major or minor collision that results in physical damage to your vehicle's frame. Your vehicle needs immediate attention when you notice steering problems or uneven tire wear patterns on your tires. Sometimes problems arise from something as small as driving over a pothole, or grazing over a curb. Caster: A faulty caster angle causes loose or difficult steering. Caster describes the steering pivot angle, as seen from the vehicle's side and measured in degrees. Caster alignment plays a large role in evaluating the "feel" of steering and the stability. Three to five degrees of positive caster is typical for most vehicles and lower angles for heavier vehicles. Camber: A faulty camber angle will create pulling and tire wear. Camber is the angle of the wheel in relation to a vertical direction. A negative camber measurement occurs when a wheel leans toward the vehicle's framework; a positive measurement points the wheel away from the car. An ideal camber angle assures optimal tire efficiency, proper steering control, and helps prevent rolling.